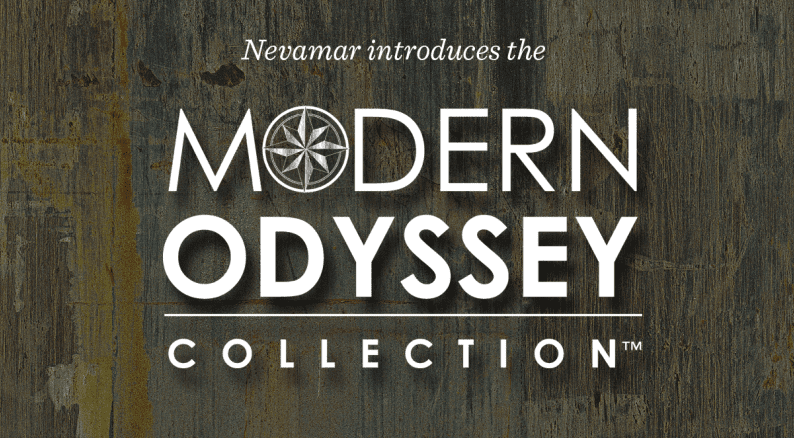 Panolam® Surface Systems, a leading supplier of integrated surface solutions today introduced the Modern Odyssey Collection by Nevamar, the company’s line of technically innovative and design-driven high pressure laminate (HPL) products. Comprised of 16 warm woodgrains and 7 eclectic abstract visuals, The Modern Odyssey Collection features an exceptional color palette designed to excite individuals and the environments they create. The rich color tones and realistic finishes combine contemporary aesthetics with an inviting sense of nature. About Panolam For more than sixty years, Panolam Surface Systems has engineered and manufactured high-quality, innovative surfacing solutions for a wide range of contract, industrial and residential applications. With an extensive line of high-pressure laminates, thermofused laminates, fiberglass reinforced laminates and other specialty products available in hundreds of colors and styles under the well-known Panolam, Nevamar, Pionite, Pluswood, Conolite, and other brand names. Panolam Surface Systems provides the vision, value and versatility designers, architects, manufacturers and contractors are looking for today. For more information, visit http://www.panolam.com. Babbling Brook: This woodgrain’s movement resembles the ever-changing flow of waters, changing season to season, embracing its transformative and organic powers and reshaping the surrounding terrain over time. Sunbeam: The sun’s radiance awakens and enlivens the soul. The striking cathedrals and tonal color variations create a shadow of warmth in this woodgrain like the shadows created by the glimmering rays through the tree cover to the forest floor. Tranquility: The fluidity and understated tonal variations of this woodgrain create a velvety appearance that is quietly alluring. Simplicity: A weathered white oak, hardy and distinctive, harkens back to simpler times. The time worn grain creates a soothing and holistic atmosphere. Weathered Storm: Distressed planking, as from an old barn, surviving Mother Nature’s fierce temper, misty mornings, and hot summer days. The resulting patina reveals its rich history, casting a warm glow and reflecting timeless beauty. Roaring Wind: Like the dark roar of the lioness in the Serengeti, this robust woodgrain speaks of (depicts) power, strength, and prestige. Deeply saturated highlights set against warm golden hues provide contrast and drama. Whispering Wind: The subtle gray tones of this eucalyptus exude quiet strength and resemble the softly turning wind turbines of the farmland; reminding us of our responsibility and commitment to global sustainability. Bohemian Edge: Capturing the gypsy spirit, this beautifully rich oak is bold yet sophisticated. The intense intricate graining heightens the creative senses and encourages alternative thought. Outer Limits: The exaggerated long cathedrals and the tight graining prompt us to push the limits, think beyond our traditional boundaries and embrace the unknown. Untold Journey: Cool grays and warm browns form stratified layers of contrasting hues, depicting a growing global eclecticism and a shared human history that transcends our cultural differences. Endless Journey: The vertically flowing grain, like the long, winding path of life, is infused with a spirit of exploration as we seek to understand the many diverse cultures and lifestyle around the globe. Glistening Trail: The striking cathedrals characterize the strength of the rising sun washing over the lush mountainous ranges warming the dewy terrain. Rugged Trail: Upon reaching the summit after a long hike through rugged terrain, we rediscover our own endurance and resilience. A powerful woodgrain, with sophisticated cathedrals, delivers a sense of accomplishment and newfound confidence. Kindred Spirit: Transparent tones evoke a spiritual connection, like the nourishing bond between a mother and newborn baby. This authentic chestnut woodgrain is pure yet hearty. Brave Spirit: Like the rough and textural husk of the hickory nut this durable aged woodgrain stands the test of time and comforts the soul like a warm fire on a cold winter day. Stout Walnut: The fluid grain of this fine walnut suggests the complexity of a traditional stout. Contrasting caramel and coffee tones hint at layers of flavor, awaiting discovery by the most sophisticated palate. Blissful Path: As with the finest of silks, we find beauty in the imperfect. Striking contrast combined with subtle irregularities give way to a unique rhythm and accentuates the beauty in any environment. Stepping Stone: Embraces the natural elements that surround a state of consciousness in search of peace and mindfulness, a desire for higher consciousness, freed from rigid dogmas. Urban Garden: The distinction between urban and rural becomes blurred as the natural world impinges upon the industrial with a blend of patched concrete, oxidized metals and subtle greens of nature. Urban Life: Aged, roughly patched concrete depicts the city dweller’s daily struggle to survive. A tough surface softened by time offers rich canvas to inspire urban art and gardening. Penny Lane: The burnished brightness of an old copper penny pays tribute to the past and encourages the creation of a life that makes the heart sing. Golden Years: A patina of timeless, elusive and noble qualities creating a sense of mystery and exploration and a desire to never look back. Silver Dollar: Reminiscent of the early frontier life, endlessly traveling the world invoking confidence of a brighter future.